After Sunday night’s commitment ceremony, Jessika Power and Dan Webb were allowed by Married at First Sight’s relationship experts to stay together, and stay on the program. 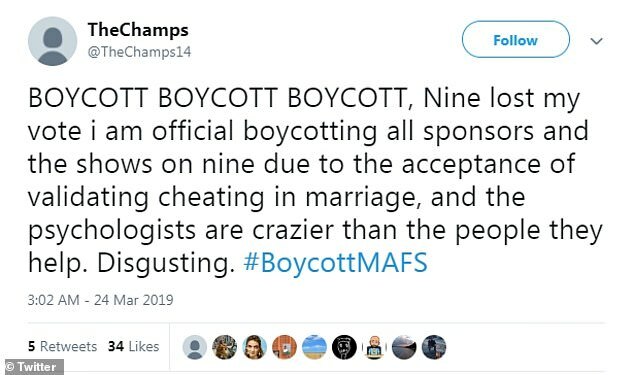 And that controversial decision has rubbed some fans the wrong way, with a petition launched calling for the show to be taken off the air, and the hashtag ‘boycottMAFS’ gaining speed on Twitter on Sunday. 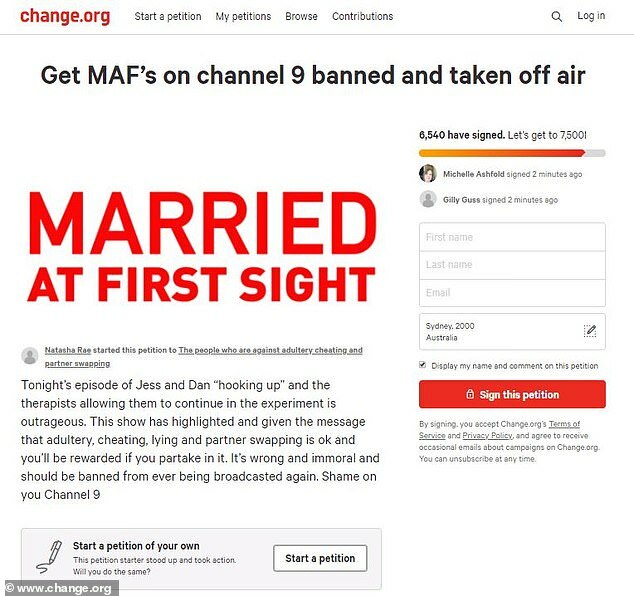 A petition tilted ‘Get MAFs on channel 9 banned and taken off air,’ launched on Change.org, and has gained close to 6000 signatures as of early Monday morning. The description reads: ‘Tonight’s episode of Jess and Dan ” hooking up” and the therapists allowing them to continue in the experiment is outrageous. ‘This show has highlighted and given the message that adultery, cheating, lying and partner swapping is okay and you’ll be rewarded if you partake in it. ‘It’s wrong and immoral and should be banned from ever being broadcasted again. Shame on you Channel 9’. Similar outrage exploded on Twitter, with many calling for the show to be cancelled or boycotted. One fan Tweeted: ‘If Jess and Dan are allowed to stay this show should be cancelled. Despicable behaviour should not be rewarded. 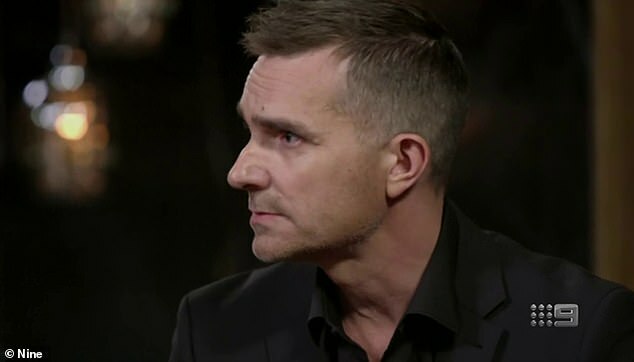 #MAFS’. Another chimed in: ‘@Channel9 good luck getting genuine people to apply for @MarriedAU. Huge disappointment that you prefer ratings over genuine love. 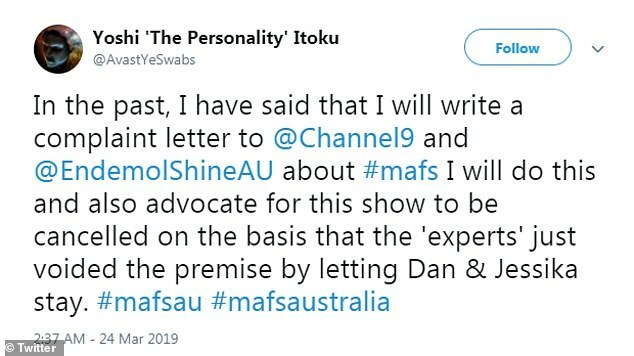 I hope the show gets cancelled #MAFS’. 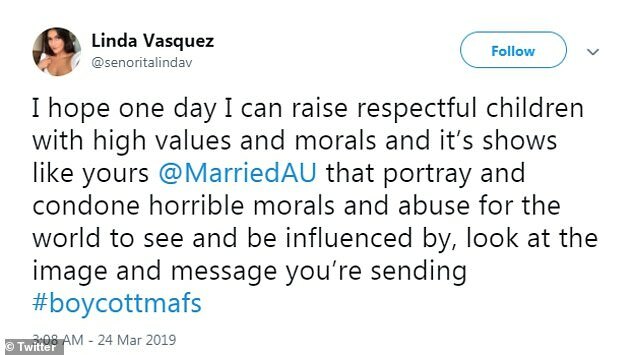 Yet another Tweeted: ‘I hope one day I can raise respectful children with high values and morals and it’s shows like yours @MarriedAU that portray and condone horrible morals and abuse for the world to see and be influenced by, look at the image and message you’re sending #boycottmafs’. 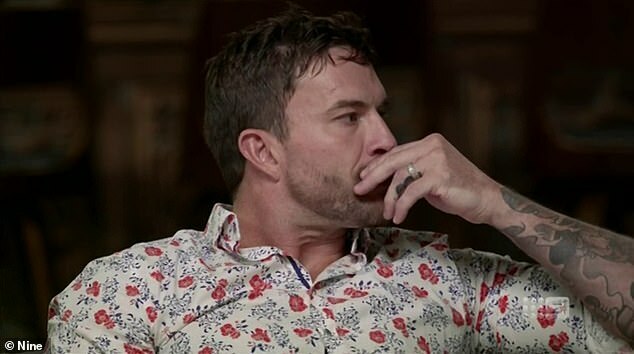 The outrage comes after, during Sunday’s episode, experts allowed Jess and Dan to stay on and attempt to make their relationship work, angering the other participants in the experiment. The pair had been having an ‘affair’ behind the backs of their partners, Mick Gould and Tamara Joy. Mick and Tamara both voted to leave, and departed the show, with Dan and Jess then requesting they could stay on and give their attraction time to blossom, which they were granted, with the experts seemingly bending the rules. Dan explained that he and Jessika needed the extra time on the show because they live in separate states.